Across the Kii Channel (紀伊水道) is Shikoku’s fourth prefecture, Tokushima (徳島県). Known for its tidal whirlpools, beautiful coasts and lively summer dance festival, the eastern hub of Shikoku has many gems worth discovering. This prefecture also represents the idea of Awakening ー the 1st of the 88th Shikoku temple begins right here. Without a doubt, the coastal prefecture of Tokushima is also home to some of the most beautiful sights in Japan! 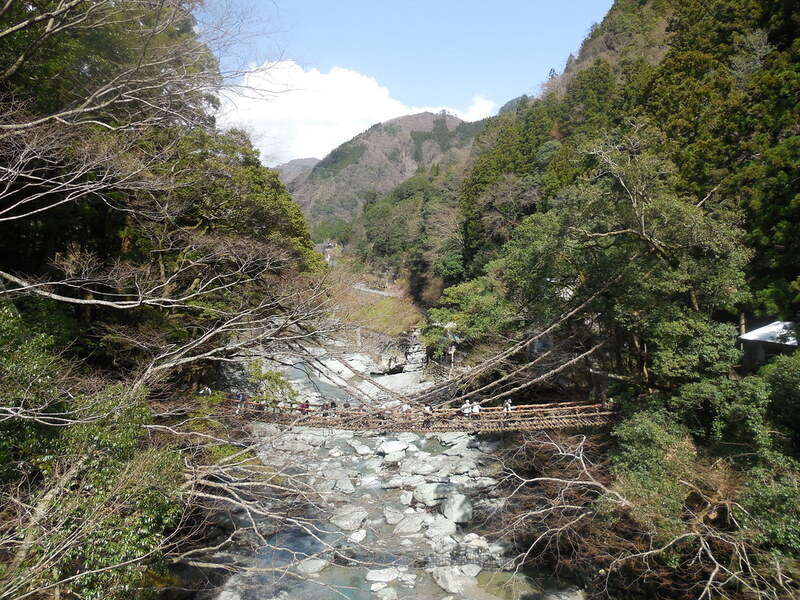 One of the three most unexplored regions of Japan, Iya Valley is a mountain valley deep in the heart of Shikoku. The isolated and secretive valley used to be a hiding place for fleeing samurais of the defeated Taira Clan (平氏) in the past. Now, it is a welcomed reprieve for visitors who want a break from a bustling city life. 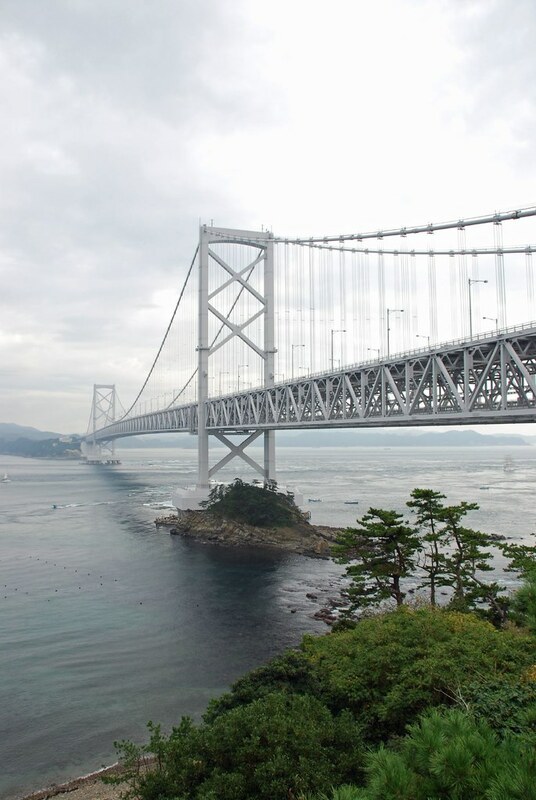 There is also a 45m long suspension bridge called Iya-no-kazurabashi (祖谷かずら橋) that is designated as a national important folkloric property. 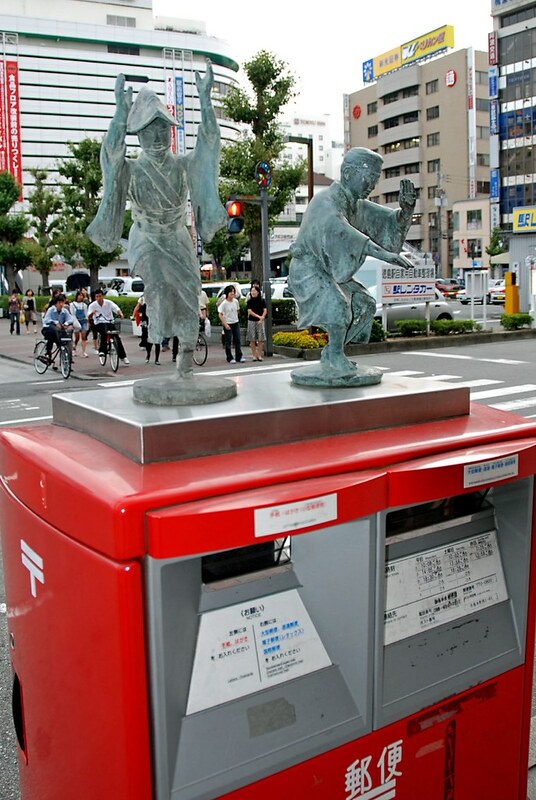 The most notorious spot in the valley is known as the Nana-magari (七曲り) where a statute of a peeing boy stands. 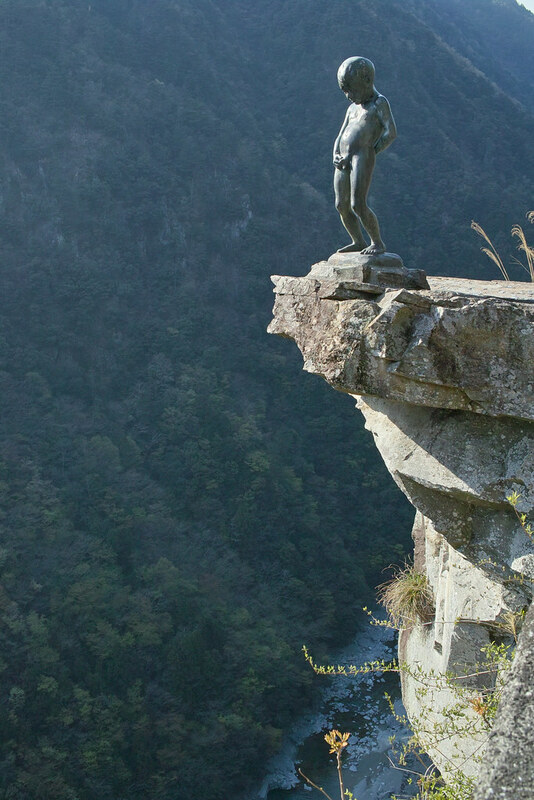 At a 300m height, you will feel butterflies in your stomach just by glancing below! While the city’s name immediately reminds one of the famous manga ‘Naruto’, it has little to do with ninjas. 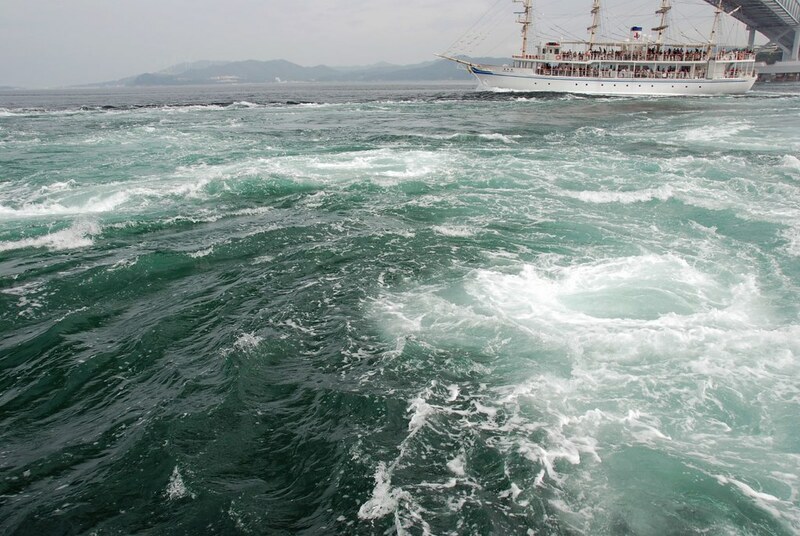 Instead, the city is famous for the whirlpools that occur along the coast of Naruto Strait (鳴門海峡). These whirlpools are created by large volumes of water moving between the Seto Inland Sea and the Pacific Ocean between low and high tide, and typically occurs every six hours. These whirlpools can be viewed from sightseeing cruises. Alternatively, one can take the Uzu-no-michi (渦の道), a 500m enclosed walkway that extends under the Onaruto Bridge (大鳴門橋) and overlooks the whirlpools. As the whirlpools is best viewed from a higher vantage point, the walkway’s observation that is set 45m above offers a view of the whirlpool through the glass windows in the floor. Besides the whirlpools, Naruto City is also renowned for the Otsuka Museum of Modern Art (大塚国际美术馆), the largest exhibition place in Japan. The Museum houses over 1000 full-size ceramic reproductions of Western artwork, including the Sistine Chapel and Scrovegni Chappel. In addition, the Museum also applies a special manufacturing technique such that the images of these world famous masterpieces are replicated in original size. It is definitely a rare opportunity to see these masterful replicas of international artworks! 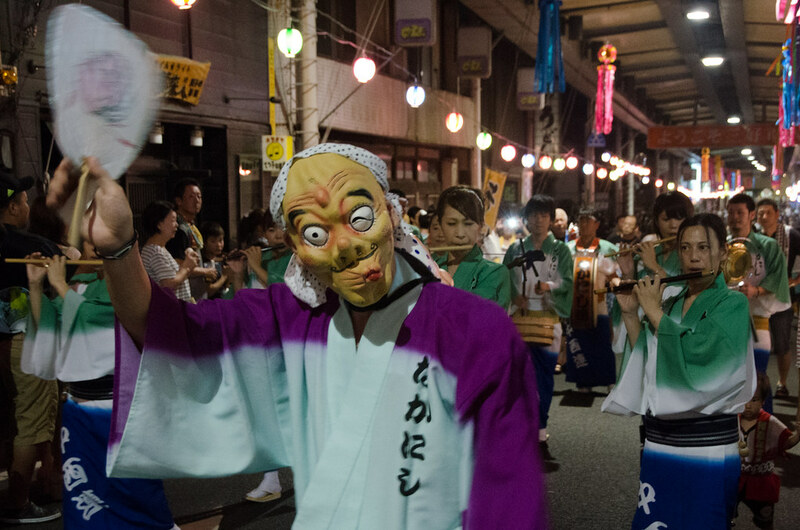 As the prefecture’s capital, Tokushima City is oozing with energy. 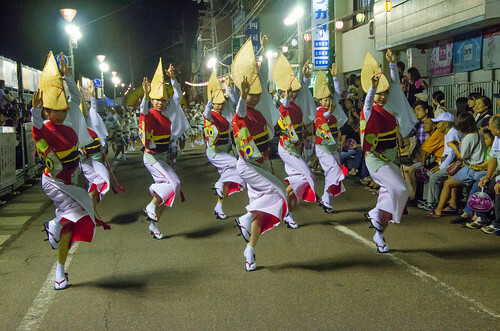 The Awa-odori Dance Festival (阿波踊り) is one of the most famous traditional festival in summer Japan. Held every 12th to 15th August, the dance festival welcomes ANYONE to join in to the bubbly event to dance freely. 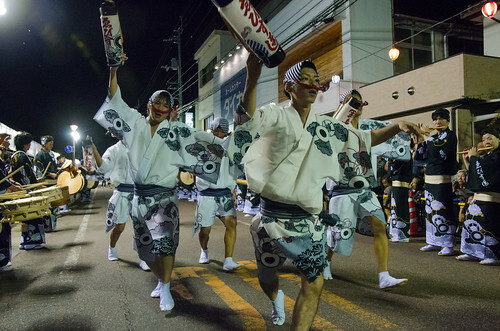 There are two dancing styles for Awa odori – Otoko odori (男踊り), which is dynamic and humorous, and Onna odori (女踊り), which is sultry yet elegant. In Tokushima, one must not miss the symbol of the City – Mount Bizan (眉山). The mountain adopted its interesting name because it is said that it looks like an eyebrow from all angles. 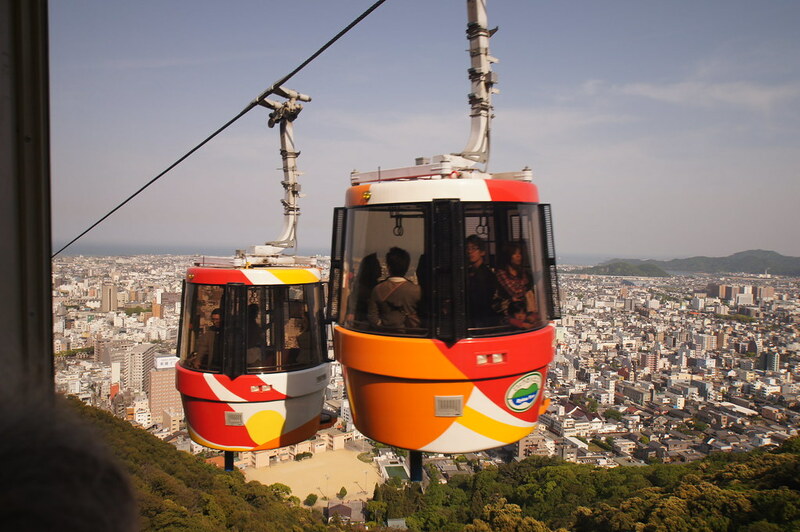 In Manyoshu (万葉集), the oldest collection of Japanese poems, a poet even wrote “There are no moorings for the boat paddling towards the distant eyebrow-shaped Awa Mountain.” To enjoy a panoramic view of the city, one can take the aerial lift Bizan Ropeway Sanroku (眉山ロープウェイ) to the Mount Bizan’s summit. This small coastal town was a result of the merger of towns, Hiwasa (日和佐) and Yuki (由岐町). Although small, this area is renowned for an amazingly picturesque beach and one of the 88-Shikoku Pilgrimage Temple. Designated as one of Japan’s 100 most beautiful beaches, Ohama Coast (大浜海岸) is renowned for sea turtles coming to shore to lay eggs. Every year, an average of 70 sea turtles come to the shores of this beautiful beach. More information about these sea turtles (or Umigame) can be found at Hiwasa Sea Turtle Museum Caretta (日和佐うみがめ博物館 カレッタ), which has one of the world’s oldest oldest breeding sea turtle (born in 1950). 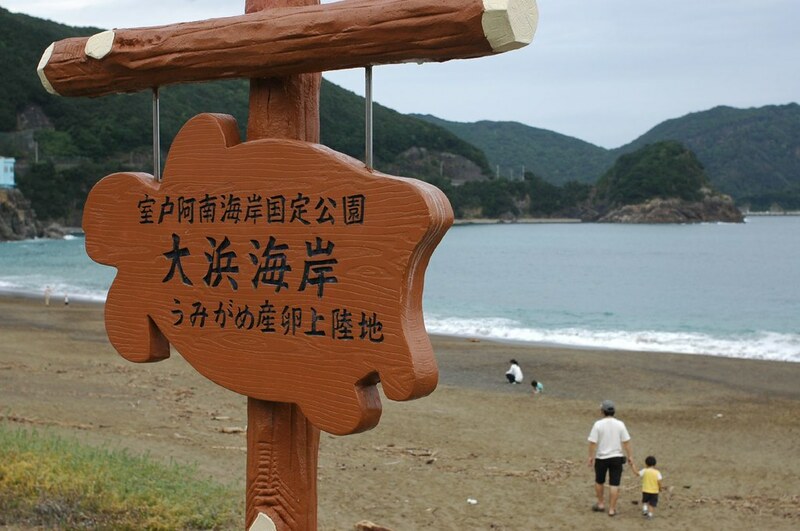 On that beach also lies Koibito Misaki (恋人岬), meaning “Lover’s Cape”, where lovers’ wishes are said to come true. Another major attraction is intriguing Yakuō-ji (薬王寺), the 23rd temple of the Shikoku Pilgrimage. 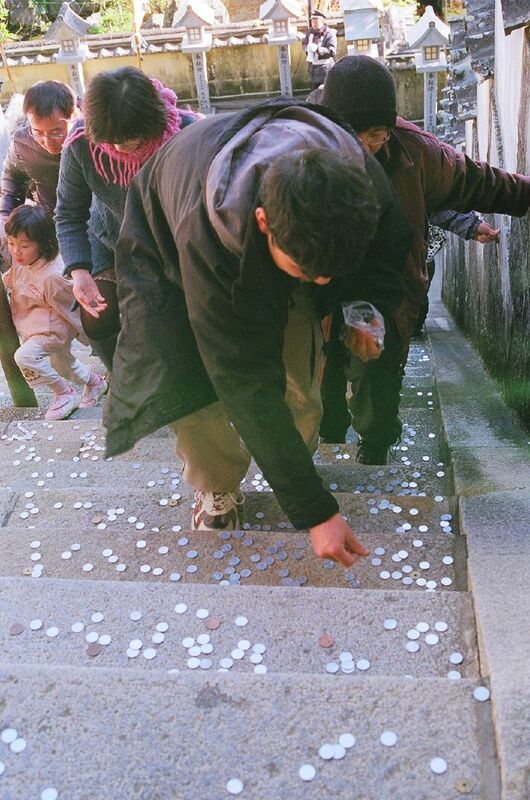 Interestingly, one will find many coins on the steps leading up the temple, since it is tradition for pilgrims to drop ¥1 on each step. The temple is also known for having special powers to ward off ill fortune during one’s unlucky years. Unlucky age for men and women are 42* and 33 respectively. *Kobo Daishi is said to have even visited the temple himself on his 42nd birthday. Home to over 200 different coral varieties and tropical fishes, the transparent waters and scene shorelines have earned Takegashima Marine Park (竹ヶ島海中公園) the title of “jewel of the southern sea”. The selling point ー Sea Sightseeing Boat Blue Marine (海中観光船ブルーマリン), a semi-submerged tour that allows passengers to tour the Takegashima Bay from an underwater deck! Previous articleMeet JRunway’s latest stars from Marvel, Star Wars and Disney!